A petition signed by over 60,000 people from across the globe has forced event organisers to cancel a live sheep race. 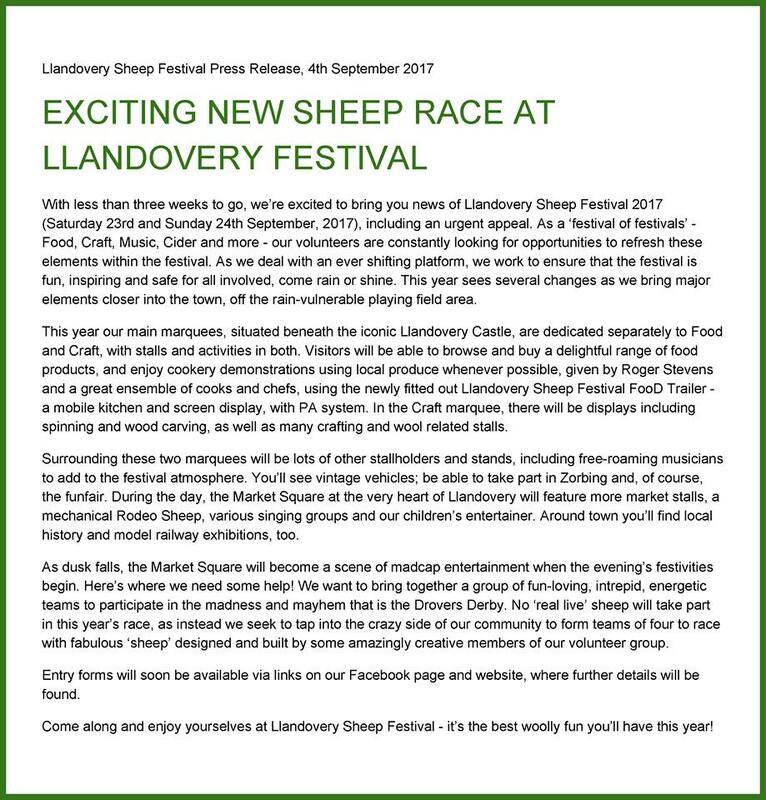 The Sheep Race at Llandovery Sheep Festival has been running since 2009 and was billed as ‘the best woolly fun you’ll have this year’. But the petition set up by animal rights activists forced event organisers into a re-think. The petition stated: “As part of the Llandovery Sheep Festival in Wales, naturally timid and quiet sheep will be made to race against each other for the amusement of festival goers. “This is cruel and unnecessary humiliation. 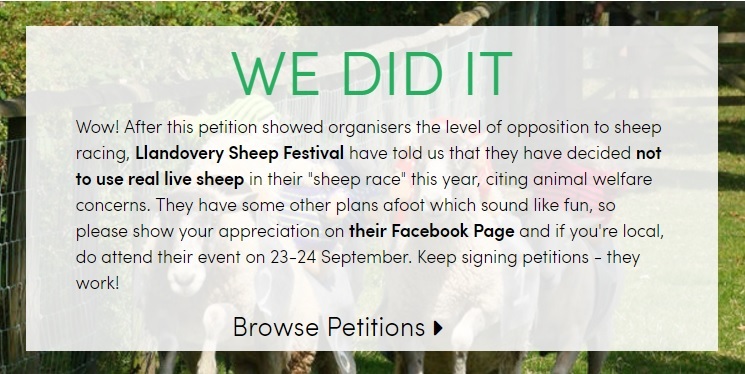 This is the third sheep race in the UK activist petition website Care2 has campaigned against this year. In response to the pressure from the petition, organisers have taken the decision to take the sheep out of the sheep race - which was due to take place at the annual festival on September 23 and 24. 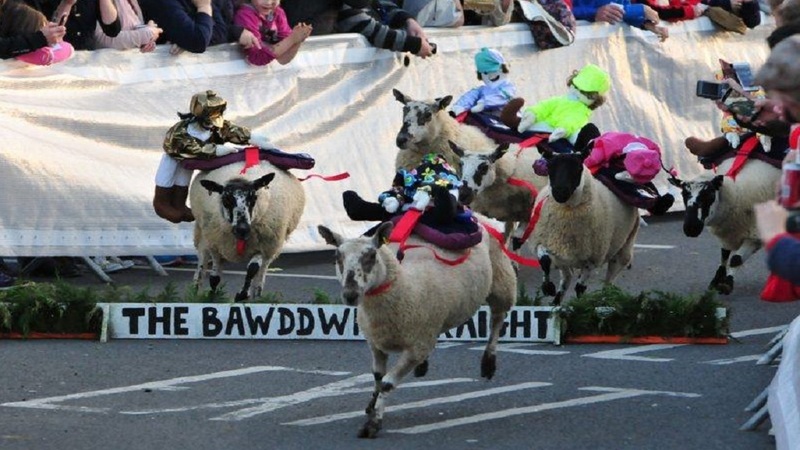 Organisers of the Llandovery Sheep Festival said: “In previous years’ sheep races we applied the highest standards of animal welfare and complied with all regulations, but we accept the rights of others to disagree and became aware of calls to cancel the race. “We already wanted to do something different this year, and also felt that any potential confrontation with opposers would spoil a family occasion, which is intended primarily to help our town and its folk. “Therefore we didn’t cancel the race, we transformed it. “We want to bring together a group of fun-loving, intrepid, energetic teams to participate in the madness and mayhem that is the Drovers Derby. “No real live sheep will take part in this year’s race. “Instead we seek to tap into the crazy side of our community to form teams of four to race with fabulous trundle sheep on wheels, designed and built by some amazingly creative members of our volunteer group.